TOTALLY REMODELED AND A GREAT LOCATION !! TAKE A LOOK AT THIS JUST UPDATED HOME OFFERING 3 BEDROOMS, 2 BATHS, 2 CAR OVERSIZED GARAGE, VERY LARGE LIVING ROOM, THE KITCHEN HAS A SNACK BAR AND A NICE BREAKFAST TABLE AREA FRENCH DOORS LEADING TO THE REAR PATIO. 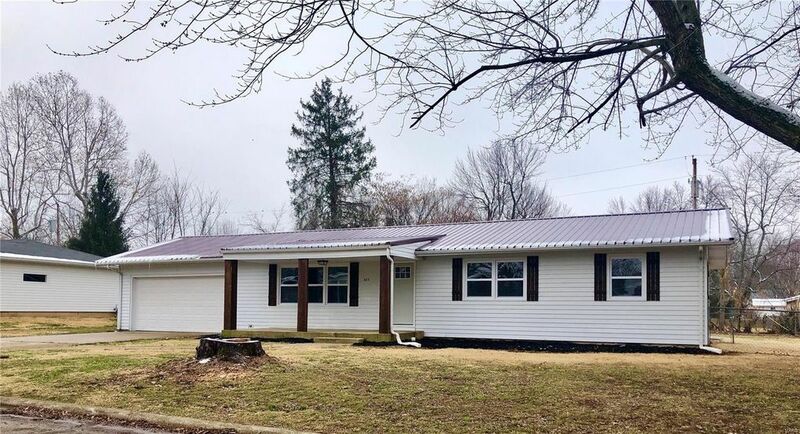 THE NEW UPDATES INCLUDE: NEW METAL ROOF, NEW WINDOWS, ALL NEW KITCHEN CABINETS WITH GRANITE COUNTERS, STAINLESS APPLIANCES, TO INCLUDE A DISHWASHER, REFRIGERATOR, ELECTRIC RANGE. THE BATHROOMS ALSO HAVE NEW CABINETS, COUNTER TOPS & NEW FIXTURES. ALL NEW FLOOR COVERINGS, NEW INTERIOR DOORS & TRIM, NEW WINDOWS, NEW HEAT PUMP, WATER HEATER & FURNACE. NEW CEILING FANS & LIGHTING FIXTURES.CONCRETE PATIO, CHAIN LINK FENCED YARD, SMALL WORKSHOP OR STORAGE SHED. STEEL SIDING EXTERIOR.